If you wear women's scrubs at work regularly and haven’t yet heard of WonderWink, you cannot pass up the chance to try these incredible comfortable and stylish work scrubs. WonderWink is a company committed to designing “scrubs that change your attitude.” You ... (see full details) (see specifications) #6016-NVY. If you wear women's scrubs at work regularly and haven’t yet heard of WonderWink, you cannot pass up the chance to try these incredible comfortable and stylish work scrubs. WonderWink is a company committed to designing “scrubs that change your attitude.” You no longer have to feel shapeless when you're wearing your work uniform. WonderWink has perfected a feminine yet functional fit on this WonderWink Women’s 6016 NVY Bravo V-Neck Navy Blue Scrub Top. A cute v-neck that's not too revealing while you’re working that includes lower pockets with space for everything you need to carry, this Bravo ladies’ scrub top will quickly become your favorite uniform top. The perfect blend of cotton comfort and polyester stretch, this 65% polyester and 35% cotton scrub shirt is soft and easy to care for when you're done wearing it after a busy work day. You never know what your day will ask of you, so the stretch and flexibility allowed by this navy blue scrub top is perfect for your unpredictable days. The professional navy blue is classy and as stylish as the feminine v-neck style. WonderWink knows you're moving, bending, lifting, lugging, pushing, pulling, and doing all kinds of other things on the job, so this women's v-neck is designed to handle it all. The cute v-shape offers enough room for your neck to breathe (and look super cute) without being so low to avoid being too revealing. (Functional, right?) The 27-3/4-inch (for a size Medium) length and side vents at the bottom hem covers your waist and fits nicely over any shape hips. The v-neck neckline is not the only functional part of this WonderWink scrub top. The large lower pockets and WonderWink signature triple pocket offer five total pockets of useful storage for any kind of smaller items that you need to keep close at hand each day. The large lower left pocket has a hidden accessory loop with three sections to keep your pens, pencils, scissors, and whatever else you need to keep secure. On the right lower side, the large utility pocket hides a small mesh pocket as well. Two sectioned pockets outside of this pocket have smaller storage space and the signature WonderWinks ID bungee loop, too. Smooth, comfortable, easy to care for, and functional...what more could you want from your v-neck women's scrub top? WonderWink has all that you need and want in women's scrubs, and the brand is constantly striving to offer you better workwear. 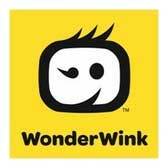 From a company voted the URA Manufacturer of the Year for three years in a row, WonderWink will not let you down. Enjoy your uniforms when you wear this Bravo top. Add a little style and comfort to your day with this WonderWink Women’s 6016 NVY Bravo V-Neck Navy Blue Scrub Top from Working Person's Store. Don’t forget to check out the other WonderWink options on our site before you go, including the matching navy blue pants! WonderWink Scrubs: Women's 6016 NVY Bravo V-Neck Navy Blue Scrub Top is being added to your cart.